SCE boss Kaz Hirai says that expanding the core functionality of the PS3 was always part of Sony's plan. The PlayStation 3 was built with enough power to accommodate things like 3D gaming and the Move controller, said SCE chief executive Kaz Hirai, in order to give the console more longevity. "Four years ago - when you look at the console's power and its retail price - a lot of people were critical with the fact that there was so much packed under the hood," he said. "Now we're especially pleased to be introducing things like Move and 3D gaming because we're able to show tangibly why we released the PS3 with the power it has, and why it makes so much sense to future proof a console. "The proposition we're offering customers is to reward their investment with a long and valuable piece of hardware," he added. "[3D and motion controls] are things we talked about internally before the launch. We knew that the PS3 needed to have a 10 year life cycle - much like the PlayStation and the PS3. Given how fast technology turns over now, we knew going in that we had to pack a lot of horsepower into the PS3." 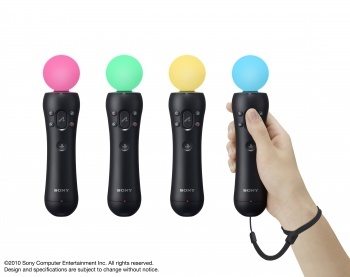 Hirai also said that Sony was willing to take it's time to get something right, and didn't want to be constantly iterating technology: "We don't want to be in a position where we're having to come out with something like 'PlayStation Move Plus' two years from now. We may take more time introducing these new technologies but that's because we want to make sure we get it right the first time," he said. "We don't want to be first into the market if we're faced with a situation where we have to make too many improvements down the line." If this console generation really is the ten year battle that Sony seems to think it is, then having the most powerful hardware may actually be the best long term decision. When you're running a marathon, you need stamina as much as you need speed.